The latest report from Market Forecast titled “Global Commercial Avionics Market, 2016-2026” covers three segments in commercial aviation market which are Fixed Wing, Rotary Wing, Business Jets and Unmanned platforms. The study covers in detail the regional and the global trends across each markets and the expected market growth until 2026. It also covers the segments in line-fit or forward-fit and retro-fit separately across each of the segments. 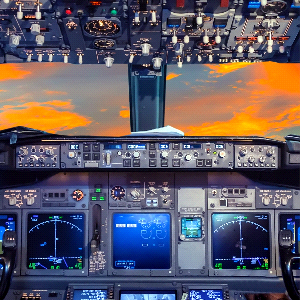 The commercial avionics market is estimated at around USD 80 Billion in 2018 and is expected to grow at a CAGR of around 4.14% during the forecasted period. Fixed Wing accounts to a major share of the market and the highest growing market are the commercial unmanned platforms. The major drivers for the market include the changing customer preferences and the regulations. The deadlines which are fixed by FAA and other aviation bodies for implementation of various Air Navigation programs have also been dealt with in detail. The report also covers program wise mapping of the key suppliers in the commercial avionics market. The Chinese program which is the COMAC 919 is also covered as a part of the supplier mapping. PEST analysis have also been covered as a part of the report, the major companies in the Commercial Avionics Market have been profiled and a detailed SWOT of each company has been covered as a part of the report. A clear view of the market drivers, restraints and challenges which are expected to affect the market in the next few years.